Book a driving lesson online and learn to drive with a fun, friendly, professional driving instructor in your local area today. With affordable driving lessons all over the country and a proven track record of successful passes, Book Learn Pass is the number one website for booking driving lessons online. It’s really easy to book a driving lesson online with Book Learn Pass. We aim to have your driving lessons booked within minutes and the easiest way to do so, is to fill in the short contact form on this page. Once complete, a member of our friendly team will be in touch right away to confirm your start date. Our driving instructors are professional and flexible, meaning you will be able to learn at a time and day most convenient for you. You can also book your driving lessons by calling 07597471607, which is our direct booking number. 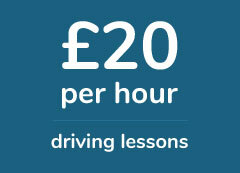 If you wish to make an enquiry via email, you can email bookings@booklearnpass.co.uk to book your driving lessons too. Our customer service team is on hand from 8am to 9pm, Monday to Sunday to assist you with your booking too. When you book a driving lesson with Book Learn Pass, you can rest assured you are learning to drive with a qualified and professional driving instructor. You will be taught how to drive in a safe and controlled manner and we aim to develop you into a safe driver for life. Another reason why you should book your driving lessons with Book Learn Pass, is our interactive website. We have an abundance of training materials to help you pass your driving theory test, a range of guides to help you practice your driving manoeuvres and advice from professional driving instructors on how to pass your driving test too. We’ve taught people how to drive for a number of years now and we understand that you may have a few questions you would like to ask before booking your driving lessons. There are a few standard questions we are regularly asked and we have included answers to them below. Can I Reschedule My Driving Lessons? You can reschedule or cancel your driving lessons up to 48 hours before the lessons’ scheduled start time, free of charge. If you wish to cancel or reschedule within 48 hours of your lessons’ start time, you will be charged the cost of the lesson. Short notice cancellations often leave our driving instructors out of pocket. The two day notice period allows us to find a replacement for the time slot. If you are booking driving lessons with Book Learn Pass for the first time, you can take advantage of our introductory discount offer. Depending of the area and driving instructor availability, the discount for learner drivers learning to drive with us for the first time, can be up to 10%. Can I Book Driving Lessons As a Gift For Someone Else? If you want to buy driving lessons as a gift for a friend or family member, we do have gift vouchers available. Once your purchase has been confirmed, we will email you a voucher which can be given to the intended recipient. The voucher is valid for up to 12 months.